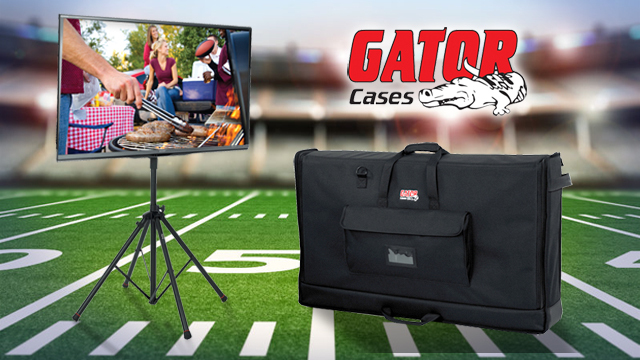 Kickoff Tailgating Season in Style with the perfect solution for large screen TV transport, protection and presentation! 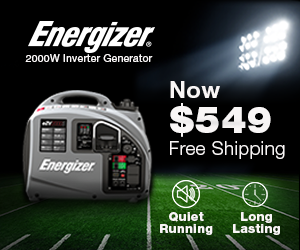 Holds larger screens up to 65” making it perfect for tailgating. Four legs provide more support and stability than a traditional tripod style stand. Legs adjust for precision setup and uneven surfaces. Frameworks Lift EEZ, self-rising center tube piston can lift screens up to 40 pounds on its own. Weights above 40 pounds will require a small amount of assistance from the user with max recommended weight at 100 pounds. Allows for horizontal or vertical screen display. Comfortable twist knobs allow you to adjust to the perfect viewing height from 40.5 to 72 inches high as well as adjust individual legs for fine tuning the angle or dealing with uneven surfaces. Click Here To Order Your Quadpod TV Stand! Now you can safely transport your LCD screen to the tailgate. Built with a heavy-duty Nylon exterior, these tote bags are made to resist screen-damaging elements like moisture, dirt and dust. A polyethylene screen shield reinforces the front cover to protect the LCD-LED screen from shattering. For ultimate convenience and comfort during transportation, the LCD-LED screen tote bags features padded Nylon handles and a removable, adjustable shoulder strap. A spacious exterior accessory pocket to keep cables organized. Available in sizes to fit screens 19″ up to 60″. Find the Perfect Gator Case For Your Screen Here!